I've been creating and self-publishing comics for a few years now, most notably the action series COPRA. 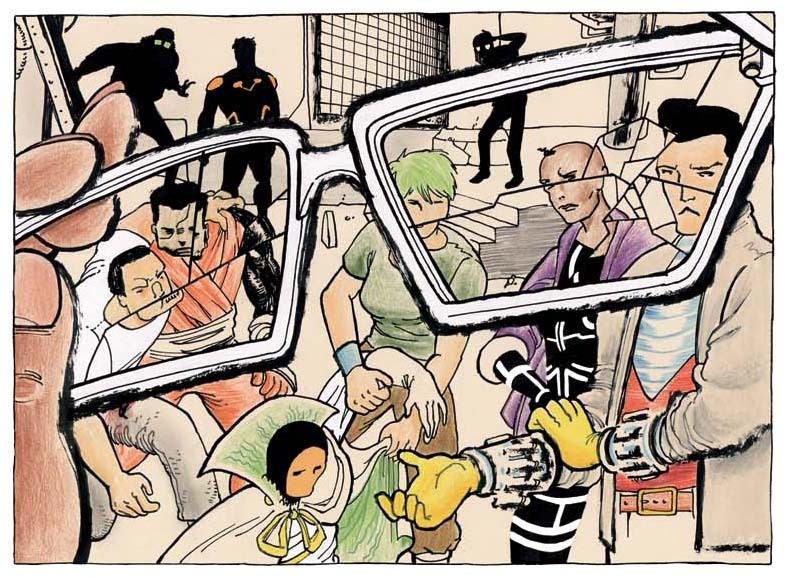 Starting out as my love letter to vigilante superhero comics, COPRA quickly developed into two things: my main avenue for storytelling and my first full-time comics gig. COPRA took over and hasn't let go. I wouldn't have it any other way. I'm in the special position of having juggled every aspect of the production chain for the 30 plus comics in the Copra Press catalog. Meaning that aside from creating a 24 page, full-color comic on a regular basis, I also take care of the business side of things: from shipping & handling to inventory & distribution. Your contributions will not only help with the production aspects here at Studio Copra, but I'll get the chance to focus and produce new issues of COPRA with the unique stamp of quality it's known for. I'll also share detailed accounts of being a modern day creator/self-publisher, thorough posts about my influences, and rare behind-the-scene art & designs. I couldn't have made it this far without the enthusiasm of all the COPRA fans out there -- it's driven a life-changing momentum for me that is difficult to ignore. Here's an opportunity to take it further, to get deeper into things, and to continue to forge ahead into new, exciting territory together! Copra Press Club Member, welcome to the fold! You have my eternal gratitude. I'll keep you posted on COPRA-related news & updates, interviews & appearances, and everything else that's crucial to the inner workings of Studio Copra. Follow all sorts of essays or retrospectives on a number of artists and topics related to comics. You'll be the first to read these all throughout the year. Map to Copra: A glimpse at ultra rare art, sketches, and unused material. Copra How To: my guide to making comics. From the creative process to the practical, you'll know the work philosophy that makes this train run. Pool of Inspiration: Showcasing creators who I'm currently studying, with the occasional editorial/reading suggestion. You'll see comic-related pieces as well as exclusive sneak peeks of new pages as I work on them. You can also read the out-of-print Negativeland #1 (a comic originally & exclusively serialized here on Patreon) in its entirety! You'll also get access to Updates and Fiffe Files. You'll also have access to Updates, Art Posts, and Fiffe Files. We've locked in on the creation of a new COPRA issue; we'll ensure a follow-up by hitting *this* goal. Let's build an empire!